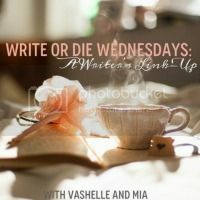 I'm so excited to be joining up again with The Chronicles of Chaos again for my second bi-weekly Write or Die writing challenge. I love this writing challenge and I'm in love with being apart of this link up! I keep calling this a challenge but it's a great writing excersice. 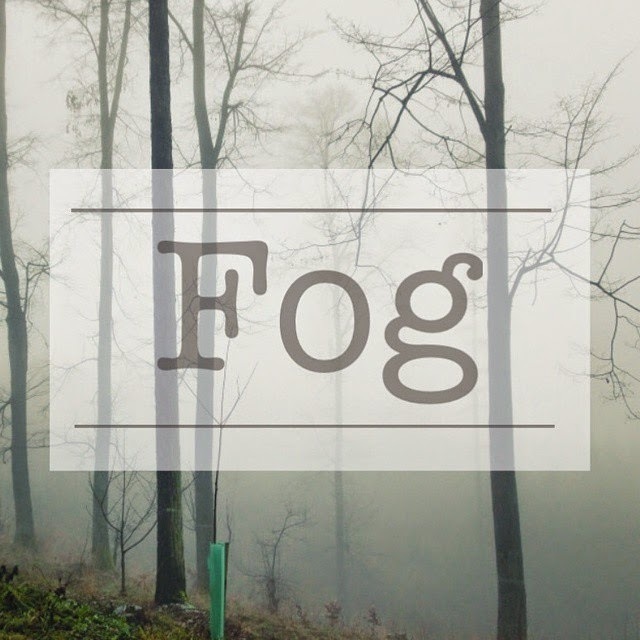 Today's writing topic is Fog. Fog is know to describe feelings such as confusion, frustration, anxiousness and is in relation to personal, and sometimes career, issues. Jake needed to think. He had so much swimming around in his head, so he decided to take a evening stroll. He grabbed a light coat for this mid October evening and decided to take his golden retriever, Buddy, for a quick walk around the neighborhood. After attaching the leash to Buddy's collar they headed down the walkway. He knew that this move was going to be stressful but he had no idea how hard it would be. He had only been here a week and missed Oklahoma already but he couldn't pass up that job offer. He took a deep breath and turned the corner onto the next street. California was beautiful and the weather was amazing. Jake knew that over time they would both grow to love this new place and maybe one day call it home. As he walked down the street he noticed the missing sidewalks and street lights. He thought about how back home he would be racking leaves on weekends and enjoying the excitement of the college football game. How Brian would be showing off his latest grill invention this fall. He thought back on the trails he & Buddy had grown to love. The thought of the beaches that he and Buddy would visit over the next couple of years. Wondered if his dog would get used to the ocean instead of the lakes they knew. As they turned another corner they abruptly stopped looking down the dark unlit street he was about to walk down. Jake suddenly noticed that now that the sun was completely gone and that fog had taken up residence. It seemed to be rising from the ground to the sky, the fog was thick making it hard for him to see his surroundings. He felt a pang of panic as he turned around to realize that he was now engulfed in the thick fog. Gripping onto the Buddy's leash he turned back the way he had come hoping to be able to find his way home. The tree's danced in the evening breeze and seemed glow against the night sky being illuminated the front porch lights. He noticed the tree limbs were bare and it gave the fog covered sky more of a creepy feel. He thought back to a scary movie he had seen as a kid and half expected a man with a chain saw to jump out at them. Buddy's low growl startled him even more but made him chuckle when he saw the cat dart under the nearby truck. Jake turned his focus back on the road and realized that he was about to turn on his street. As Jake and Buddy started to turn down their street he could hear the roar of a car engine but the car lights were so dimmed due to the thick fog. Jake realized that he hadn't ever seen fog this heavy before even in all those late fall Oklahoma nights. The fog made Jake realize that he couldn't keep living in the past. He had made the decision to move to California for the new adventure. That while the fog was engulfing him now tomorrow the sky would be bright and he decided to use the metaphor moving forward. As him & Buddy walked through the front door he smiled back over his shoulder at the fog. He realized the he would never be scared of fog again and looked forward to what the days ahead held for him and Buddy. He looked around at all the boxes that still needed to be unpacked and he wasn't so stressed out anymore. Giving Buddy's head a light pat he walked towards his brightly lit kitchen and smiled. He was ready to embrace this new State and call it home. That's my story on fog. I hope you join this link up with me! If you do or have let me know so I can go check out your creative story!! I love it, Amy! I love how Jake recognized the fog as a metaphor for his life. I think about my own life that way sometimes - that maybe the fog is hiding my path, but eventually the sun is going to come out and burn off that fog. It's an uplifting feeling. :) Thanks so much for sharing, I so love reading other people's stories and seeing how they were inspired by the prompt. Big hugs! I can so relate to the metaphor. I've been in a fog for the past 2+ years and have yet to see through it, but I know the fog will lift eventually, just like it did for Jake. So glad you joined us again! I moved from Oklahoma to California.. so this was a little personal. It took me a while to adjust and at times I still have to learn. I found the Tupac saying and looked up 'fog' and went with it!